To be held on the afternoon of March 19th at the well-appointed Levi’s Stadium Team Auditorium, the seminar has been scheduled and located adjacent to the 2019 Synopsys User Group (SNUG) conference. The seminar will include multiple sessions of informative presentations, a keynote by renowned EDA luminary and former CEO of Cadence, Joe Costello, and a reception in the Levi’s Stadium Black Oak Casino Club overlooking the Levi’s Stadium field. The reception will include a mini-exhibit from the sponsoring companies. Leading product companies and verification service providers will tackle topical subjects, discussing the latest thinking on critical verification methodology and technologies. The seminar and reception are free of charge. However, register soon as only 126 seats are available. The seminar and reception are free of charge, but seats are limited. Joe is very accomplished in business and has a tremendous amount of experience. He is a well-known figure in the EDA industry and has provided many key insights and lively keynotes at EDA events over the years. He became CEO of Cadence Design Systems in 1987 and over the next decade grew the company from $10M to $1B, making it the electronic design automation leader. In recognition, he received the Phil Kaufman award, the highest accolade in the EDA industry. 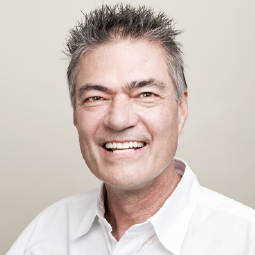 Joe has also served on the board of dozens of companies such as Oracle, Macromedia, Clarify and Mercury Interactive. Today he is a board member of Metrics, Inc.
Joe always has insights that predict the markets and sees the trends where the industry is going. He offers us inspiring ideas for consideration. All attendees are welcome to our reception in the Oak Room at Levi Stadium. Enjoy hors d’eouvres and drinks with a view of the Levi Stadium grounds. This will be combined with an exhibit where the participating companies will be available for discussions, along with TV&S, WHDL, and XtremeEDA. The Verification 3.0 Innovation Summit will be held at the Levi’s Stadium Team Auditorium and Black Oak Casino Club in Santa Clara, CA. Enjoy informative presentations by the following companies. Representatives will also be available for discussions during the Reception & Exhibit from 6:30 – 8:00pm.